Remember last year's Summer List? It was a tremendous hit with my kids...so they've helped me come up with a new list this year. Anyone up for a challenge? 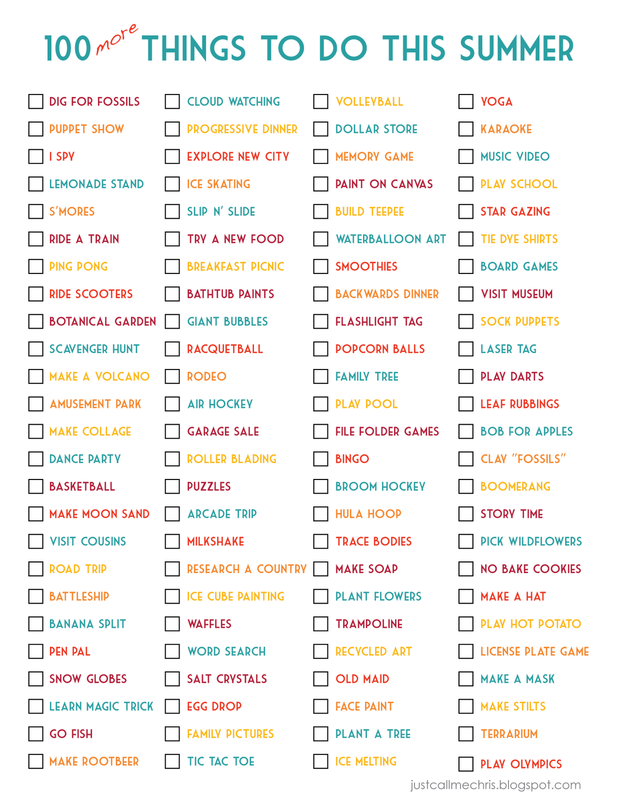 Try completing BOTH lists this summer. Both lists are available as free printables here. I've got both a color and a black and white version for you so you can print them any which way you want. Have fun! What a lovely list! I don't have children, but I am excited to check off these summer activities.